We’ll have to continue waiting for the Elton John biopic as its creators finish figuring out how to transfer the singer-songwriter’s charisma to Taron Egerton, an actor who is, notably, Not Tom Hardy. In the meantime, however, British department store John Lewis & Partners has provided a smaller recounting of the singer-songwriter’s life by means of its latest, actually-very-lovely Christmas advertisement. The commercial follows John’s career, showing him being given a piano for the holidays as a small boy, face still bare of oversized glasses of any kind; a teenager banging on the keys in a busy pub; and the glitzed-out superstar of more recent memory. He’s portrayed by a variety of actors along the way, including Brandon Stein, Oliver Marshall, Hundson Trindall, Simon Burbage, and, as the tiniest of these dancers, a little boy named Freddie Henderson. Oh, and there’s also an appearance by some guy called “Elton John,” whose IMDB page credits him as an actor known for playing the character of Elton John on shows like Nashville, Ally McBeal, and The Simpsons. The entire ad is wrapped around John’s early single “Your Song,” the musician playing a phrase from it on the piano in a cozy-looking room lit by a Christmas tree. The resulting impression is that either composing “Your Song” on this piano helped create the milestones shown in John’s life or that he’s an old, defeated man who can’t help but hear one of his greatest hits play repeatedly in his head as the never-ending, tormenting price for the Faustian bargain that gave him such talent and success. 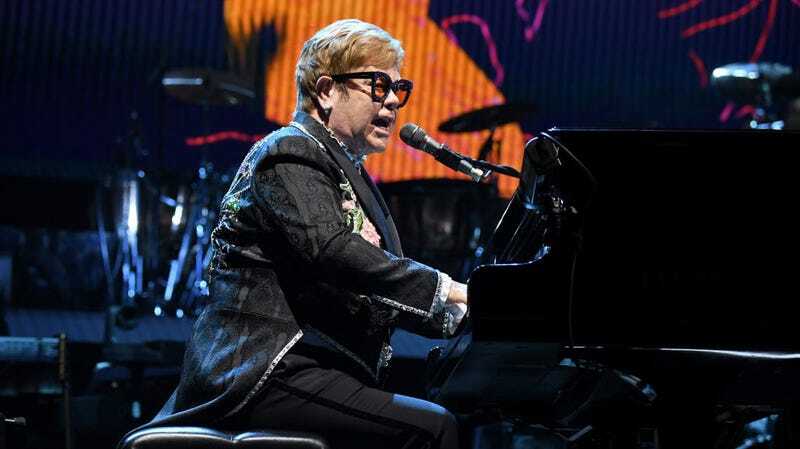 It’s very nice and a good reminder that not only is Elton John one of the greats, but that a piano is the best gift you can give a child ... next to some L.O.L Surprise Dolls, a sweet hoverboard, or a premium YouTube subscription.